Hello guys! How are you? I just got back from a very short vacation, so sorry for my absence! 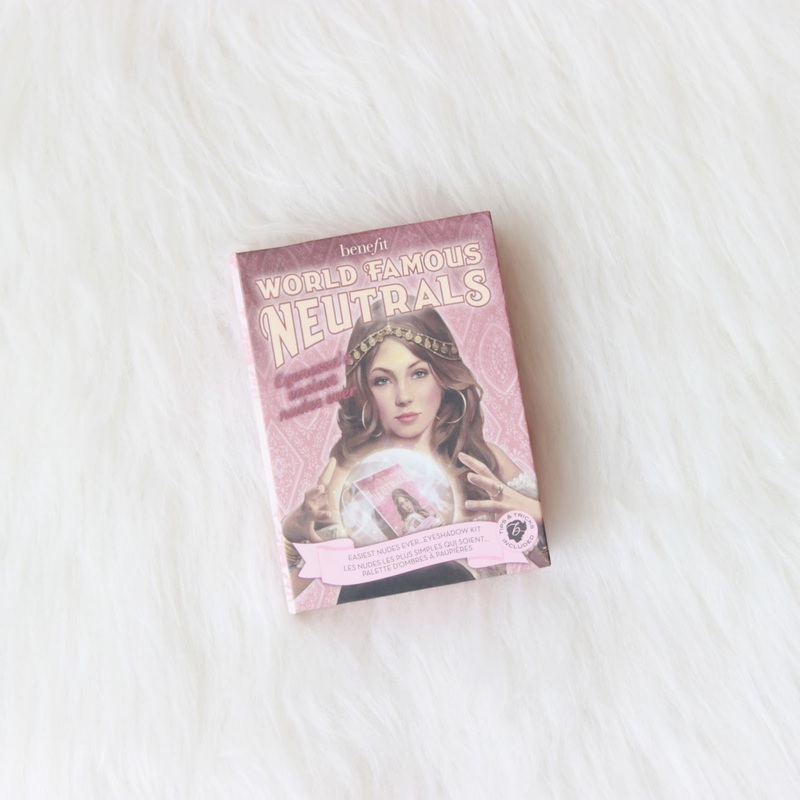 Today I have an eyeshadow kit I want to talk about, it’s the Benefit World Famous Neutrals in Eyenessa’s Easiest Nudes Ever. Did you know? 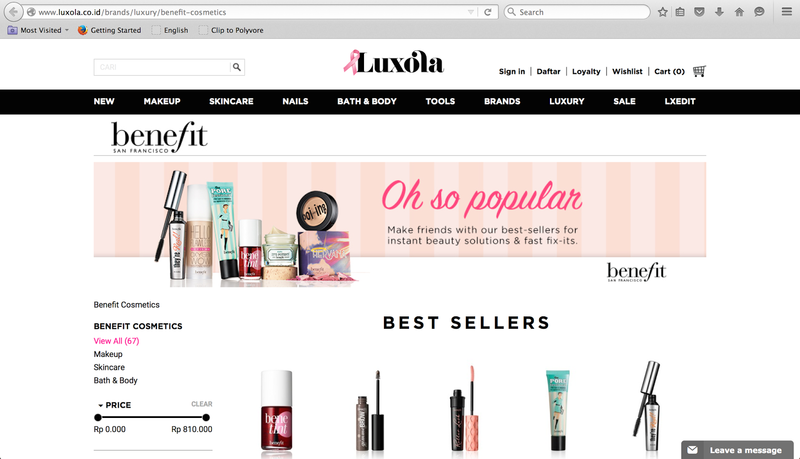 Now Benefit Cosmetics is available on Luxola which makes it a whole lot easier for Indonesians to try out some goodies from Benefit! 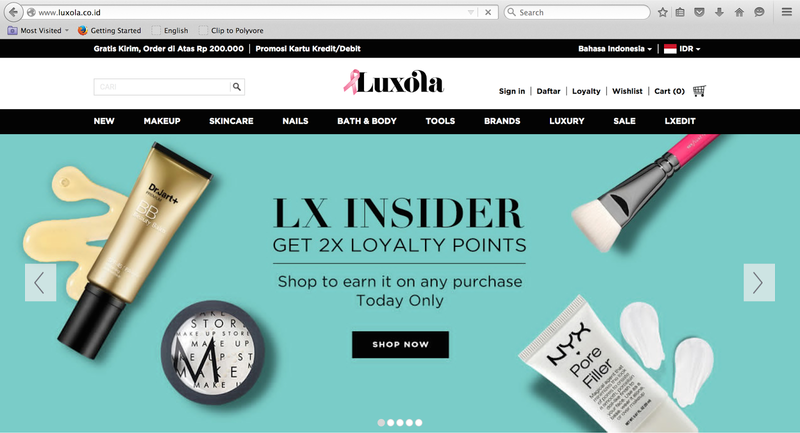 If you love online shopping, you must have heard of Luxola. 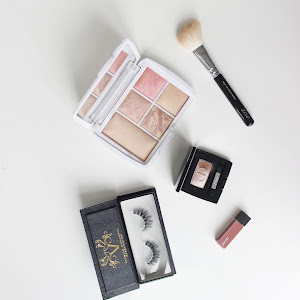 Sometimes we can get too caught up with online shops on Instagram, that we forget there is Luxola that has ready stock products from various brands, from mascaras to your favourite makeup brushes, from brands you see in department stores to European brands that are difficult to find. There is something for everyone. Another plus is you don’t need to preorder and the product you want is just a few clicks away. This is not my first time ordering from the website, and I genuinely love their service. Both times I ordered from them, both products came on time. If you order today, they can arrive at your doorstep tomorrow. Except if you live outside Jabodetabek area, then it can take up to 6 days for your products to arrive, but good products are worth the wait, right? Especially if you don’t even have to leave the house in order to get them! Both packages arrived safely and perfectly, they packaged them really well, you don’t need to worry about the product being broken on the way. Luxola is a huge company and they are also available in other countries like Singapore and Malaysia, so you never have to question the authenticity of the products, they are legit guys. Some social media online shops mark up their prices sooo high but Luxola has competitive prices and there is a lot of promotion! 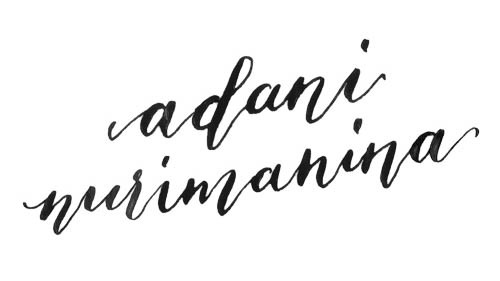 So do not forget to sign up for their newsletter so you will always be updated on the newest deals! 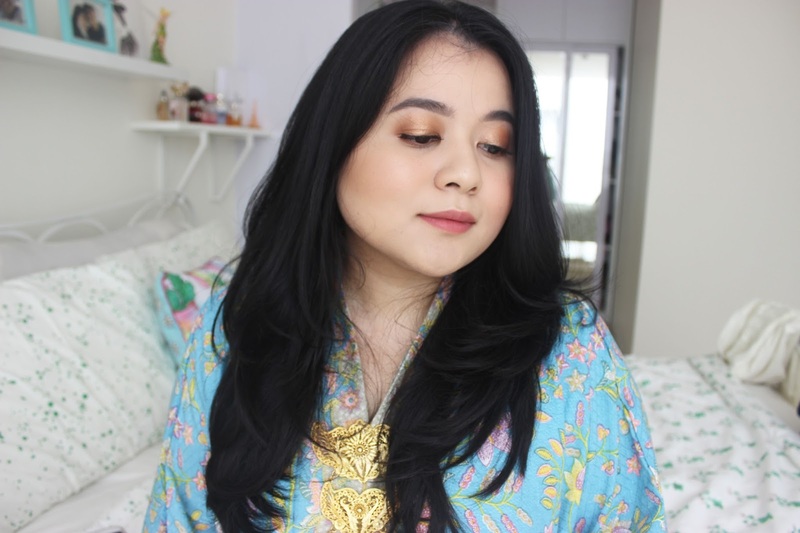 I bought my Zoeva Complete Luxe Set from them because they are hard to find, and I love how Luxola don’t just make Zoeva so ridiculously expensive just because they are unavailable anywhere else in the country. Navigating around the website is so easy and convenient as well. So the next time you are looking for a certain product but can’t seem to find it anywhere, look it up on Luxola, you might just find it! Now, onto the product. 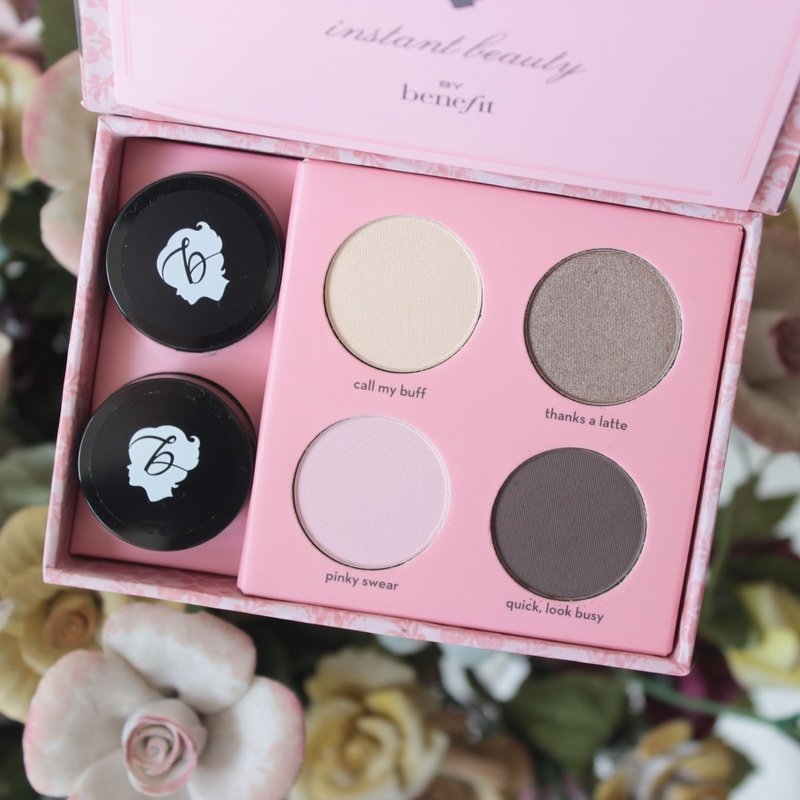 I have been wanting this kit for sooo long because it’s a great way to try out Benefit eyeshadows. 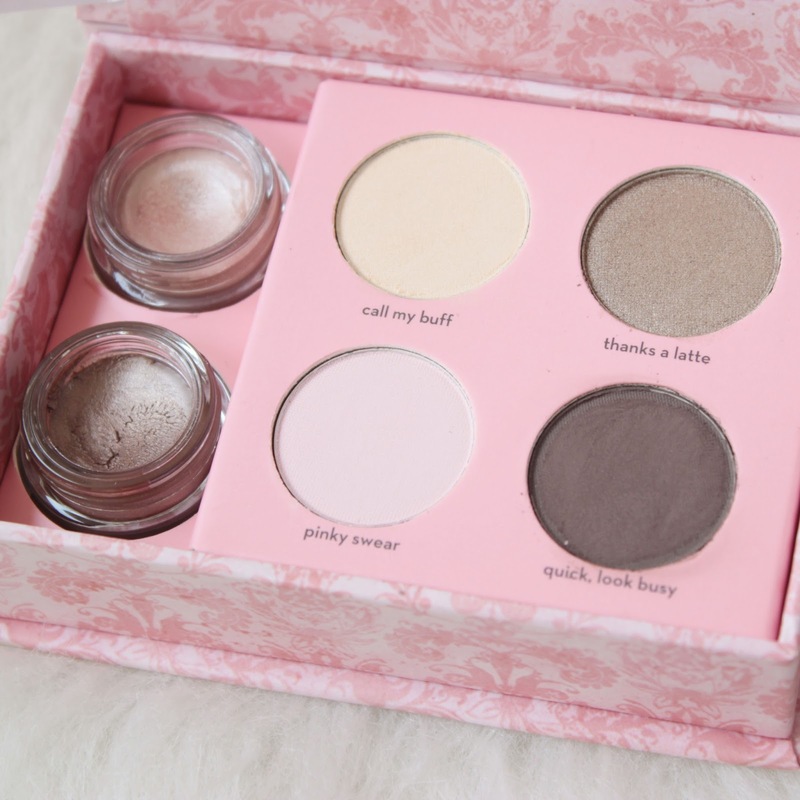 The first time I opened it my initial thought was “This would be great for traveling!” In this kit you get 4 longwear powder eyeshadows and 2 creaseless cream eyeshadows. 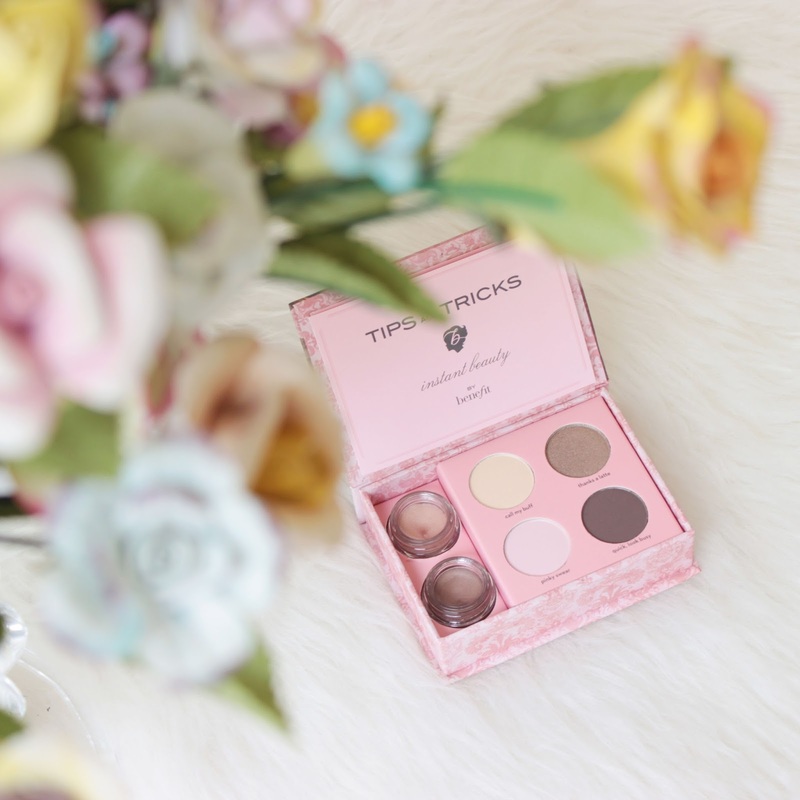 The powder eyeshadows are buttery, smooth, and pigmented. The one that’s a bit patchy is the matte dark brown. 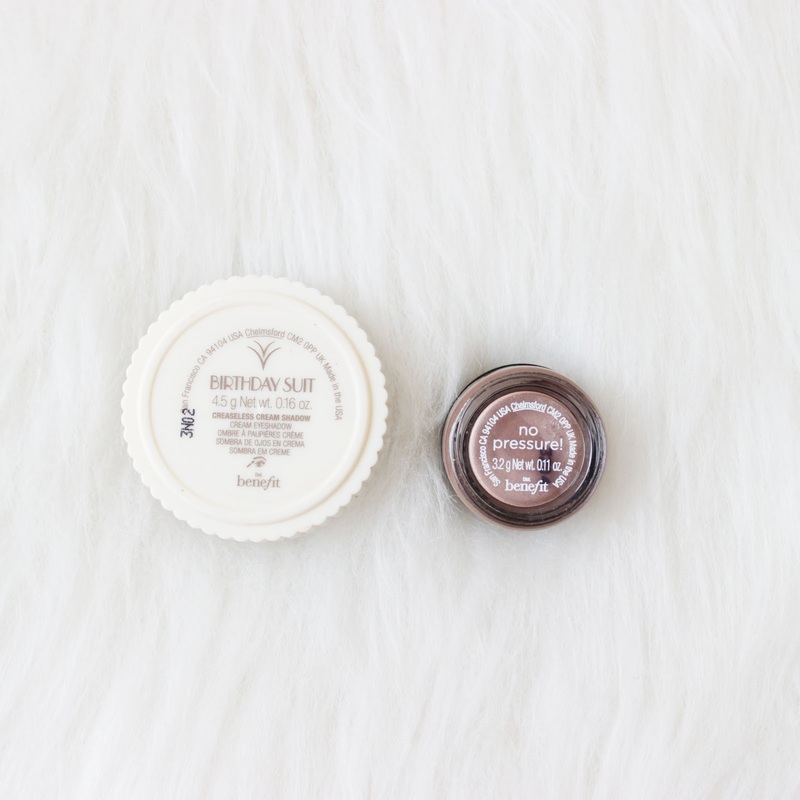 The cream eyeshadows have a much more slip to them than everything else I have tried. 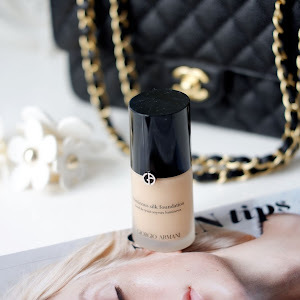 I have their full sized cream shadow in the shade Birthday Suit and I have been wearing it loads! You can use them as a base or just on it’s own. I love them, and so excited to add two more shades to my collection. The packaging is so cute but I wish it was less bulky, but they had to store two cream eyeshadow pots so it’s understandable! 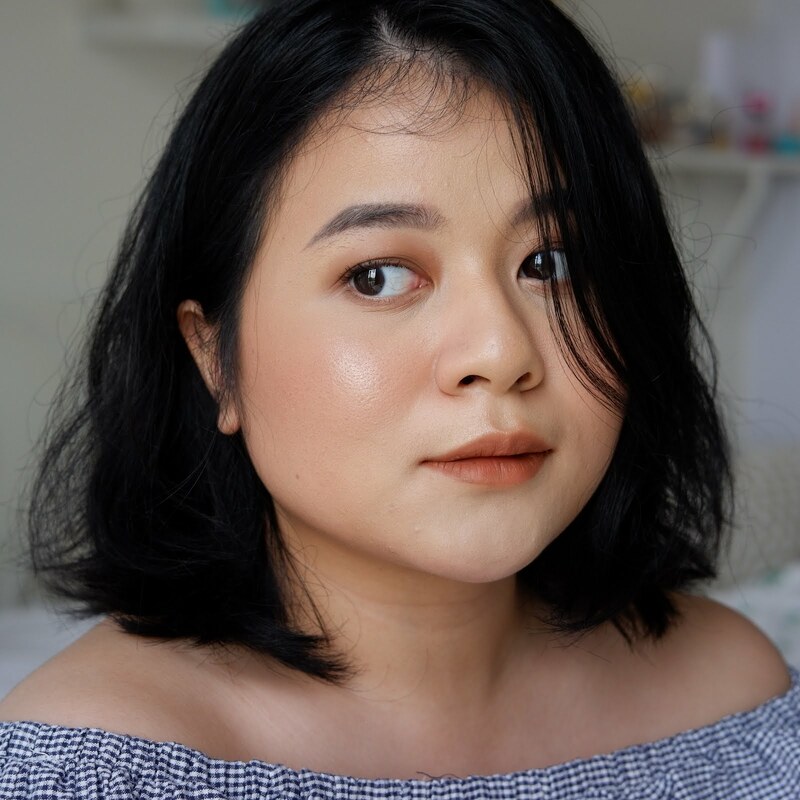 I know I will get a lot of use out of this eyeshadow kit, because the shades are great neutrals and you can create a bunch of looks using these 6 shadows. “call my buff” is a satin, pale yellow ivory colour. “thanks a latte” is my favourite, it’s a light to medium shimmery bronze shade. 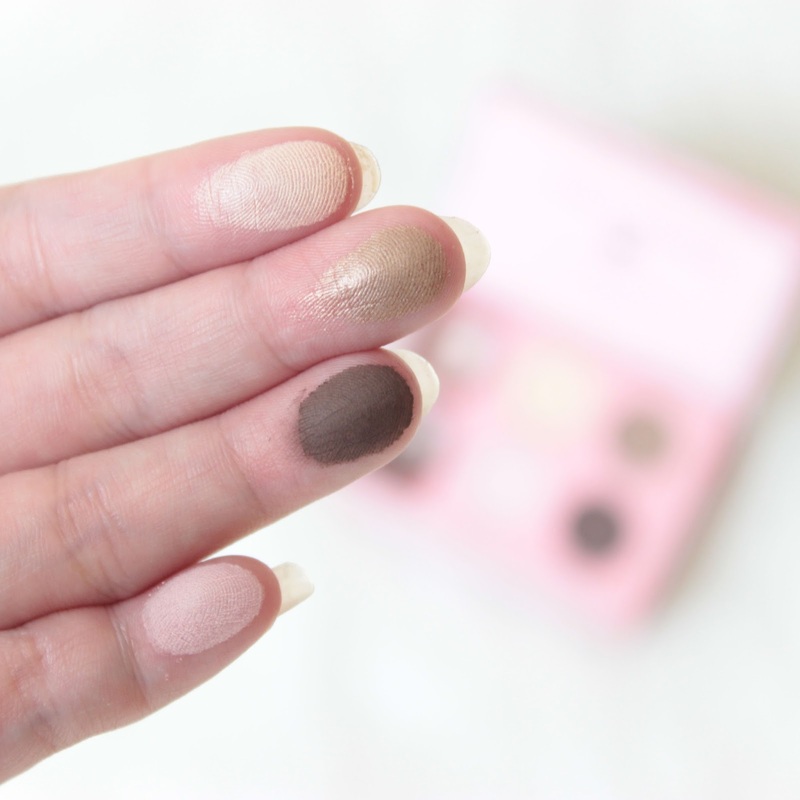 “pinky swear” is a matte pake pink and “quick, look busy” is a matte dark brown. “R.S.V.P” is a rose gold and “no pressure” is a warm chocolate with a plummy undertone (also a favourite!). The full sized cream shadow has 4.5g of product while a pot from this kit contains 3.2g, two pots you get 6.4g, plus the 4 powder eyeshadows. 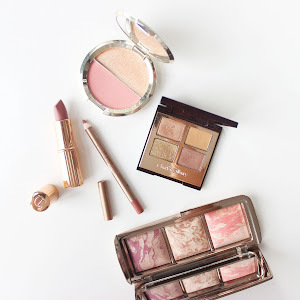 It’s such a great value as there’s not that much price difference between this kit and the single cream shadow. If you want to try this out or other Benefit products, hit up Luxola through a direct link here.